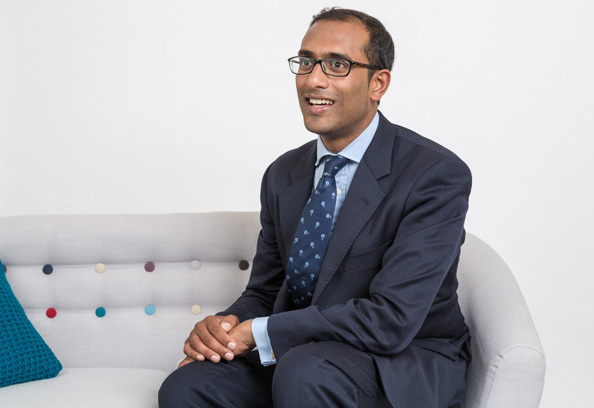 Previn undertakes work in both children cases and divorce. He also covers domestic violence injunctions and all disputes between unmarried couples (TOLATA). He regularly appears in the Family Court, High Court and Court of Appeal in both children and divorce cases. Previn has experience in the full range of private child work. He regularly represents parents seeking to resolve issues of whom their children live with and how much time they spend with each parent. Previn has experience in dealing with discrete issues such as international and domestic relocation, changes of name and religious upbringing, as well as a range of other specific issues. He also represents parents in cases where there has been a considerable gap in contact and a party seeks to re-establish contact. Previn has also represented a number of grandparents in discrete applications for contact with their grandchildren. Previn regularly represents parents who have local authority involvement in their family’s lives. He has successfully conducted cases for parents seeking further parenting assessments, contesting interim care orders as well as emergency protection orders. He has particular experience of cases involving vulnerable adults, often with a range of psychological difficulties. Previn has recently been instructed in a range of cases for parents seeking to oppose Adoption Orders sought by the local authority. Previn regularly acts for spouses going through divorce. He has acted in cases with low income and assets as well as those involving multi-million pound assets, multi properties and international property portfolios. He has obtained freezing injunctions, maintenance pending orders and appears at all stages up to contested final hearing. Previn’s focus is on giving clear advice on law and procedure which will hopefully keeps costs down and reach settlement, when appropriate. Previn is committed to undertaking Family Law Act 1996 cases in obtaining injunctions for survivors of domestic violence. He has a compassionate and supportive approach which will often be the first step for some people in turning their lives around. He is able to undertake litigation for his clients, so can undertake all the legal requirements of his clients without the need of a solicitor. Previn is able to undertake litigation for direct access clients and is therefore able to undertake all your legal requirements without the need of a solicitor. Children Case Update  Fam Law 772. The first in a series of articles bringing together the most useful recent children law cases. Co-authors: Previn Jagutpal & Martha Cover.